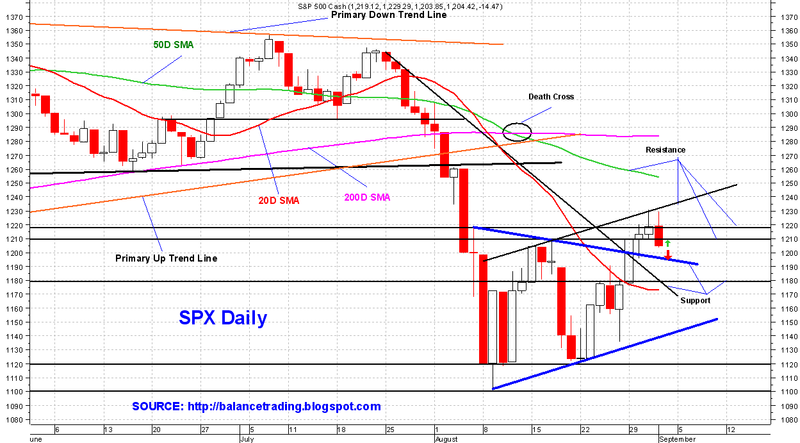 On 8/29 SPX broke out of a Symmetric Triangle formation (thick blue) and closed above it. 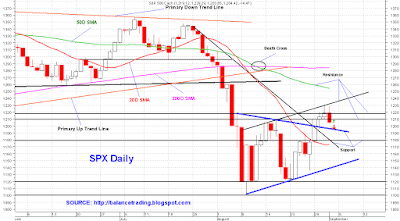 SPX is coming back down to back test that formation at mid 1190's, very likely tomorrow shortly after open. Chances are excellent for SPX successfully back test the formation and then rally back to challenge its recent high of 1230 sometime next week.